Prosecutors who charged Sayoc with five federal crimes Friday say the suspect unwittingly left behind a wealth of clues. 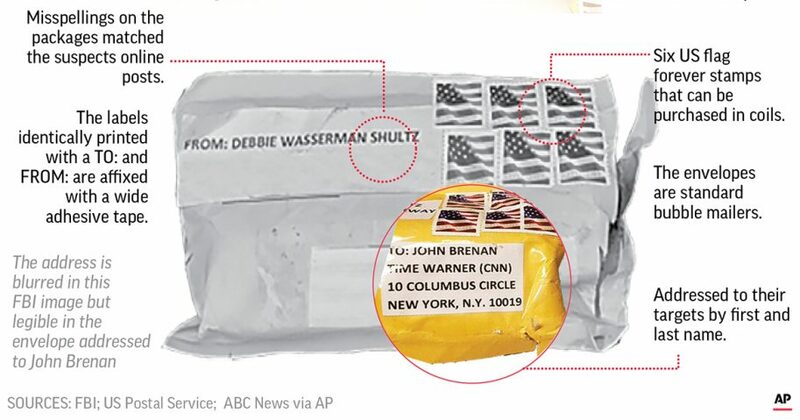 Additional packages followed, delivered the next day for Clinton and Obama and after that to the cable network CNN, former Attorney General Eric Holder, former Vice President Joe Biden and other Democratic targets. As the FBI worked around the clock, it was business as usual for Sayoc as he took to Twitter to denigrate targets like Soros. That was not uncommon for the amateur body builder and former stripper.